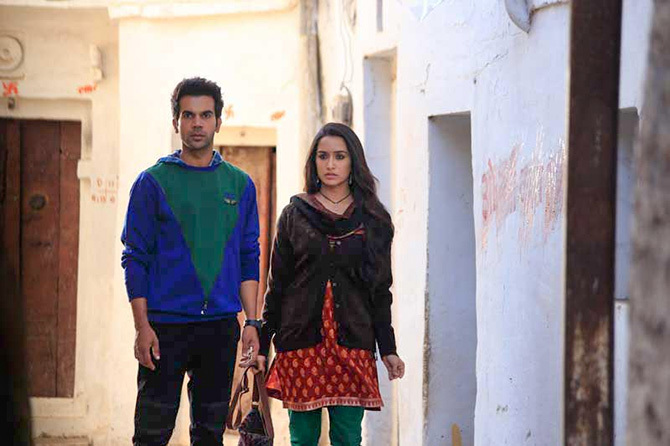 Stree ;does very well over the weekend; it's a hit already! Yamla Pagla Deewana Phir Se fails. 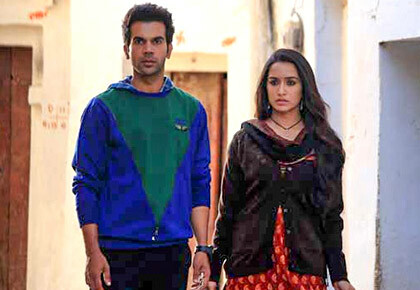 Cast: Rajkummar Rao, Shraddha Kapoor, Aparshakti Khurana, Abhishek Banerjee. What works: Abhishek Banerjee is good; some jokes hit the mark. What doesn't: Most lines sound too self-aware; the messages seem force-fitted; lack of chemistry between actors. 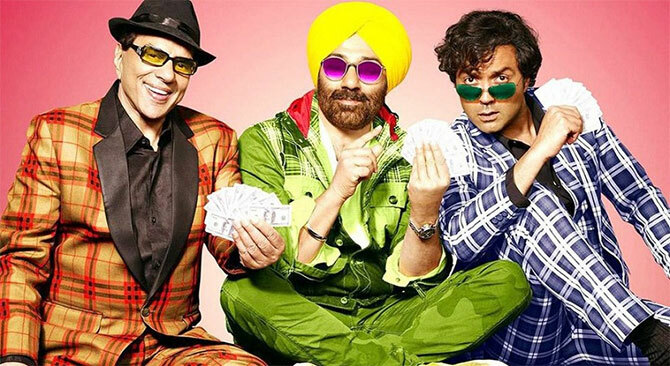 Cast: Dharmendra, Sunny Deol, Bobby Deol, Kriti Kharbanda. What works: A few funny moments. Cast: Sonakshi Sinha, Diana Penty, Jimmy Sheirgill, Ali Fazal, Jassi Gill. What works: The scenes with Jimmy Shergill and Piyush Mishra. What doesn't: The jokes fall flat. Cast: Utkarsh Sharma, Ishitha Chauhan, Mithun Chakraborty, Ayesha Jhulka, Nawazuddin Siddiqui, KK Raina. What works: Mithun Chakraborty and Nawazuddin Siddiqui. What doesn't: The whole film. Cast: Akshay Kumar, Mouni Roy, Kunal Kapoor, Amit Sadh, Vineet Kumar Singh, Sunny Kaushal. What works: Good supporting cast. 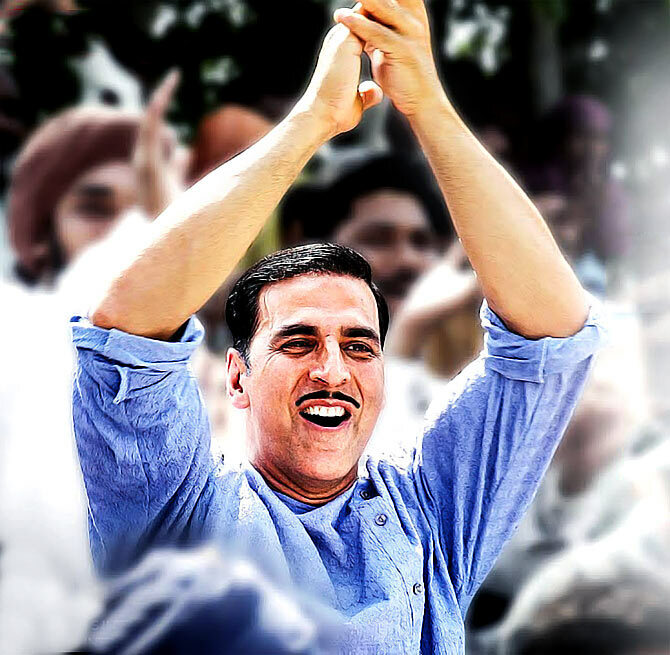 What doesn't: Akshay Kumar, in a sloppily written role. Cast: Manoj Bajpayee, John Abraham, Aisha Sharma. What doesn't: Predictable twists, superficial emotions. 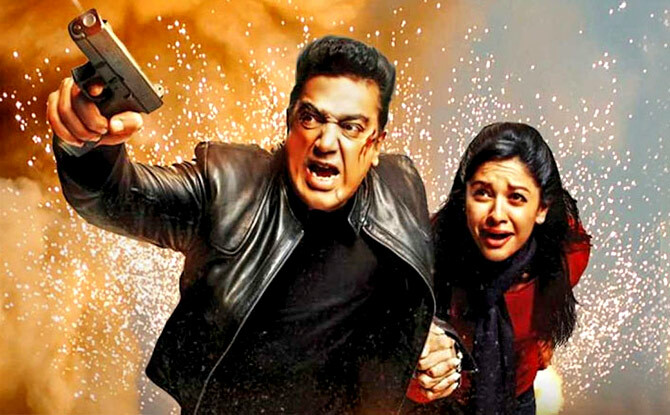 Cast: Kamal Haasan, Rahul Bose, Shekhar Kapur, Pooja Kumar, Andrea Jeremiah, Waheeda Rehman. What doesn't: Slowest spy thriller ever made, random storylines are padded together. Cast: Anil Kapoor, Aishwarya Rai Bachchan, Rajkummar Rao, Pihu Sand, Divya Dutta. What doesn't: Ordinary soundtrack, long second half, silly story. 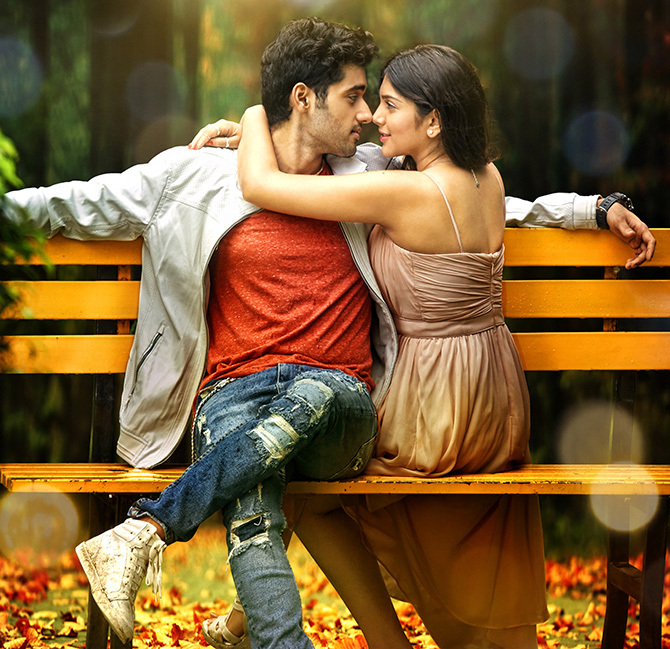 Cast: Irrfan, Dulquer Salmaan, Mithila Palkar, Amala Akkineni. What works: Irrfan, beautiful locations, good soundtrack. What doesn't: Random sub-plots, tepid film. 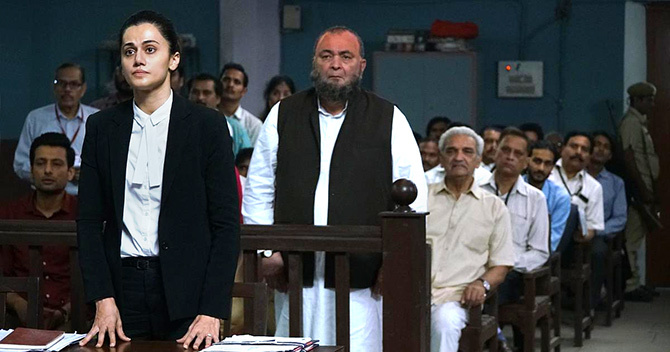 Cast: Rishi Kapoor, Manoj Pahwa, Taapsee Pannu, Prateik, Ashutosh Rana. What doesn't: The film turns social issues into happy, genre-based endeavours.